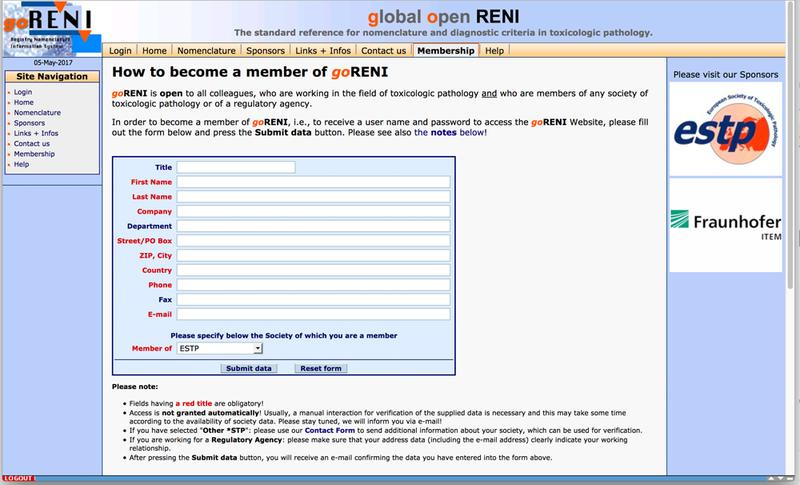 After you submit the form, goRENI will email you a User Name and Password (after having checked with STP that you are a valid member) it is as simple as that. goRENI has a wealth of features. 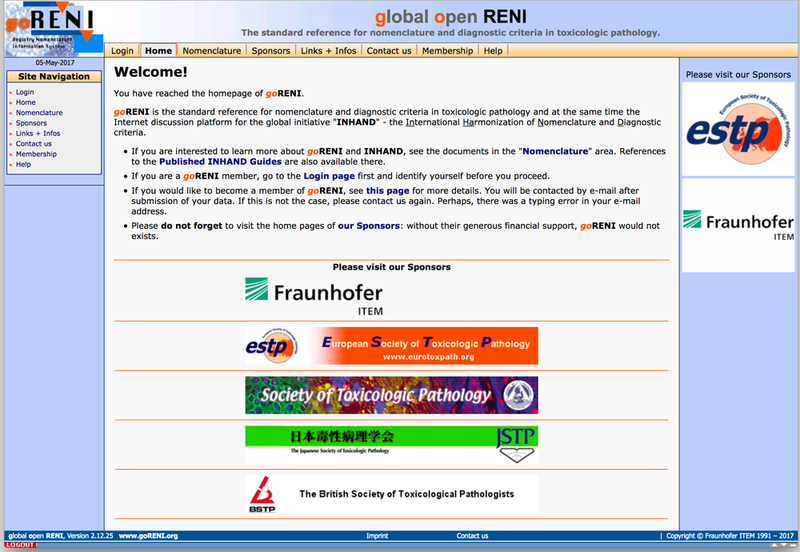 In addition to written descriptions and images of both proliferative and non-proliferative lesions of rats and mice, it also includes links to the abstracts of most published references in the descriptions, the RITA trimming Guides for all organs, and the opportunity to comment on the nomenclatures while they are in draft.